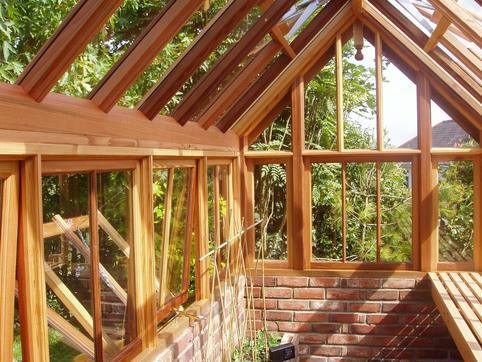 Built from selected European Redwood or Accoya and painted with a colour from a quality paint range suitable for a building of this type, we machine and profile in a very traditional manner. 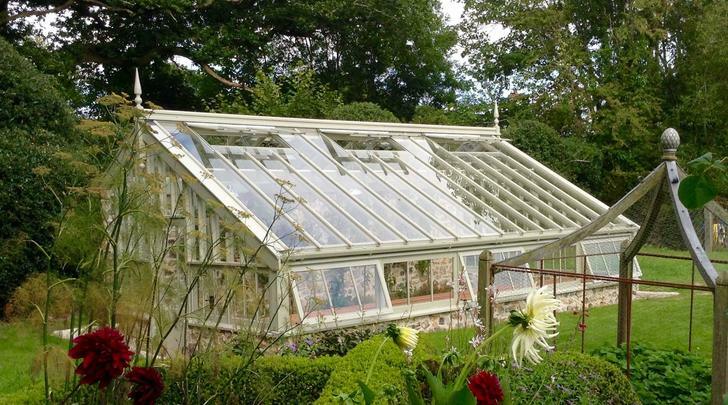 Our greenhouses feature a design that is substantial and embellished, with features such as pierced and fretted cresting or an appealing roll top design with turned finials; these have become popular with our designs. An example of structural importance to us is to include horizontal timber members within gable frames, this also provides further window options should they be required. Built from selected , treated and painted European Redwood or Accoya as an option, again painted or optional finish considered. 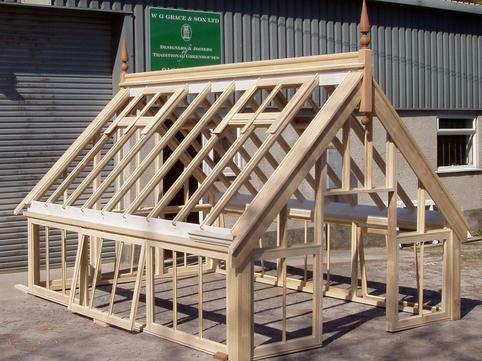 For a natural finish timber greenhouse we use Accoya with consideration of how the timber will weather. We machine and profile in a very traditional manner using mortice and tenon joints as you would expect , with consideration of how elements may need to be integrated in the greenhouse. Sills would be of a suitable hardwood or Accoya. Toughened glass throughout is sealed on lower casements with a capping in the roof that is held by stainless steel fixings. 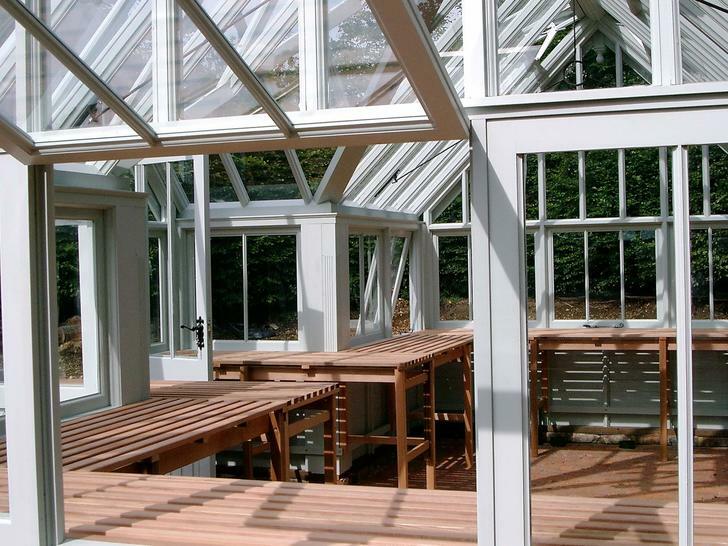 Ventilation is afforded by the use of automatic roof controls and top hung casements to the side framework, thus creating a stable environment within the greenhouse. All of our greenhouses are built to order so any change to size and requirement could be considered based upon our original design. We do offer a site survey which is charged for with the cost being reimbursed upon an order. However, we are able to give a reasonable accurate cost with supplied information if preferred. We reserve the right to alter the design and construction where necessary to improve our product.